The last time I met Sandra was in February 2015 when I last went to Hong Kong. So we had our reunion 3 years later in June this year. It is so sweet that she makes time for me whenever I pay that country a visit and the best thing is she always have the latest updates on the newest and best cafes to head to. We met at the SOGO outlet located at Causeway Bay in the morning before she took me on a Ding Ding ride to Tai Hung. 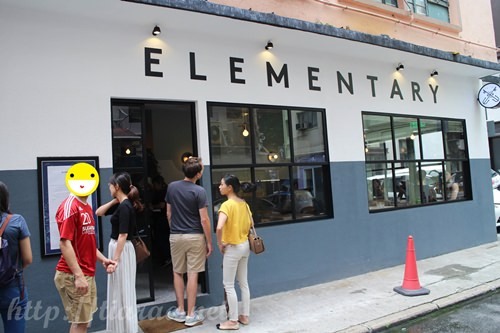 Say hi to one of the newest cafe on the block and that is none other than Elementary! 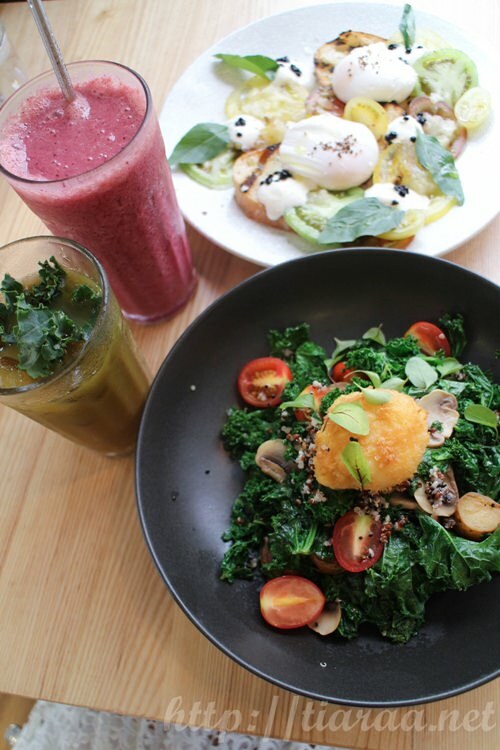 The chef that opened this cafe is also the same person that brought you famous restaurants named Mama Malouf and Catch located at Kennedy Town. 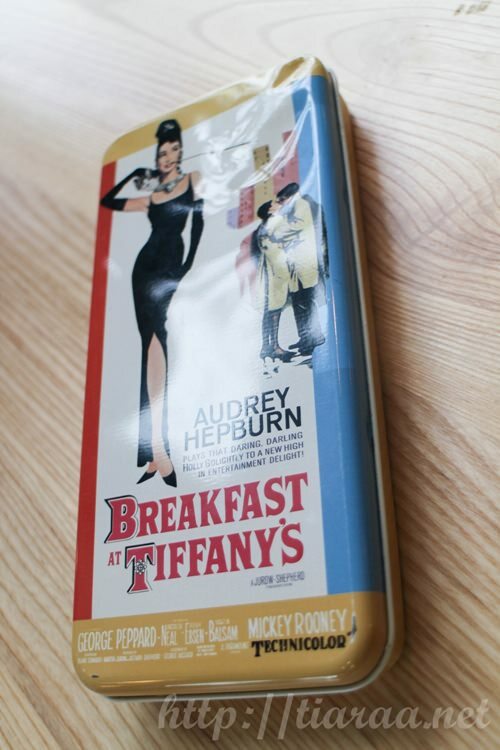 I have never been to those restaurants but heard a lot of ravings about it. When I saw the menu, I was so happy to see healthy food and beverages served because I wanted a healthy breakfast since most Hong Kong food served in the morning are wanton noodles, roast pork rice and such so I ordered The Holy Kale as depicted in the second picture, which comprises of fingerling potato, mushrooms, cherry tomato and my favourite quinoa topped with crispy poached egg. On the other hand, Sandra got herself the sourdough and heirloom tomato with balsamic caviar topping the lemon yoghurt and decorated with Thai basil. The dish is nicely topped with two poached eggs as well. 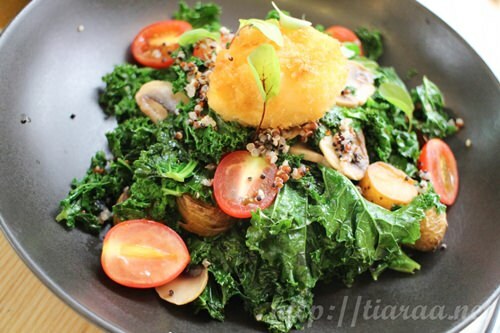 My dish costs HKD$128 (USD$16.34 / SGD$22.54 / CAD$21.59), while hers costs HKD$118 (USD$15.07 / SGD$20.78 / CAD$19.90). To be honest, I found Sandra’s dish more appealing than mine but my dish puts a good start to my diet that day! 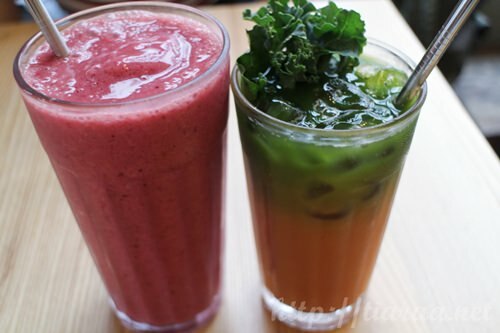 As shown in the forth picture, Sandra had the Berry Beet, while I went for the Kale, Carrot, Apple juice, which costs HKD$58 (USD$7.41 / SGD$10.21 / CAD$9.78) and HKD$40 (USD$5.11 / SGD$7.04 / CAD$6.75) respectively. Really enjoyed the juice combination and how it is not too sweet. 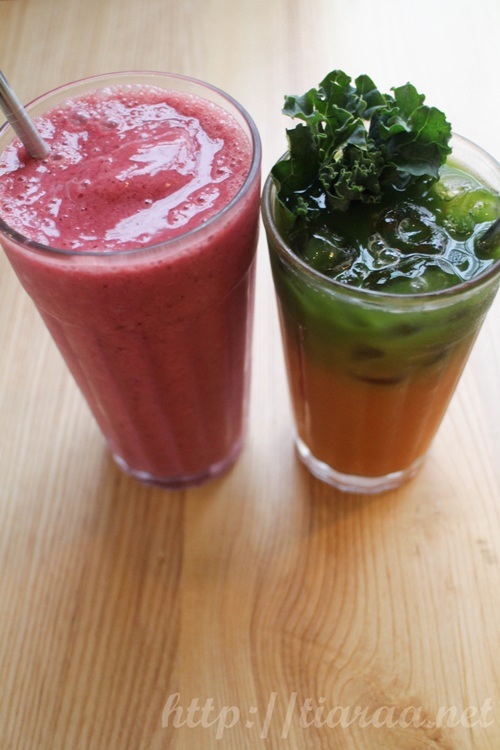 Also, I love how they decorated my drink with the kale leaf! 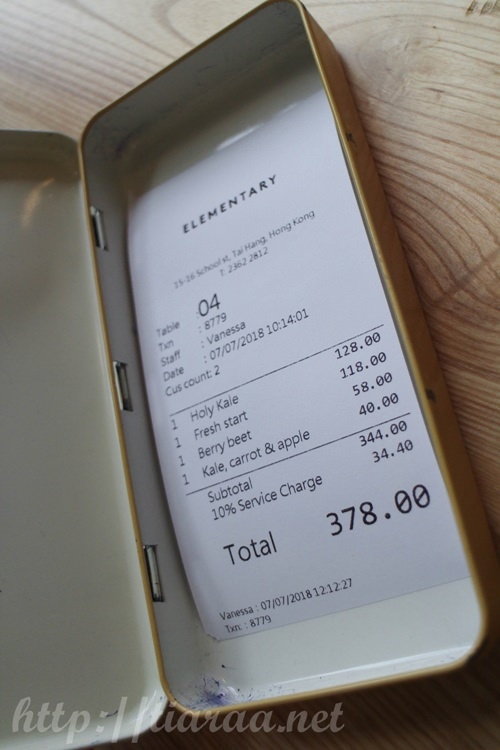 The entire cafe experience with 10% service charge costs a total of HKD$378 (USD$48.26 / SGD$66.56 / CAD$63.75). This is somehow almost the same costs as dining in a cafe at Singapore but it is the high quality food and healthy way of preparing the food that entice me to come back in the future. As Elementary also serves set lunch and dinner, I hope to come back again to try their other dishes but I am sure there will be new cafes popping up the next time I come back.